Shares on Wall Street have bounced backed after Thursday's alarming 4 percent plunge. The three main indexes rose by more than 1 percent on opening. Steep selloffs this week pushed the Dow Jones Industrial Average and the S&P 500 into correction territory after nine years of near uninterrupted gains. So far, technology and financial stocks have led advances on the S&P, while industrial stocks helped lift the Dow. It's been a rollercoaster week on Wall Street with shares spiralling downwards. 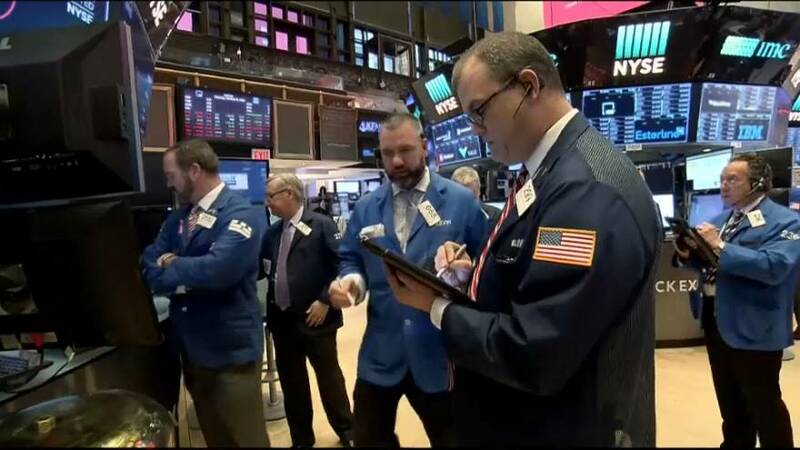 With US stocks set for their biggest weekly losses in at least six years, finance expert Jesper Lawler told euronews Thursday's dramatic drop was the result of a short, sharp, shock. 'There are actually a lot of investors out there invested into low volatility, you can actually buy funds which benefit when volatility drops. So that was more of a technical reason why we saw that initial sell-off this week, said Lawler, head of research at London Capital Group. "I think what we have moved into now is actually more investors taking more defensive approach to the market just purely as a reaction to the sharp price drop that we have had," added Lawler. He also believes the volatility in stocks may spread and lead central banks to lift interest rates as inflation fears gradually ease. Losses on European bourses accelerated and volatility rose on Friday after opening modestly lower. Why did US stocks plunge and how does it affect Europe in 2018?